Look up to the skies tonight, ladies and gentlemen, and you’ll see a show like no other. The Perseid meteor shower, also called the Tears of St. Lawrence after the saint martyred August 10, is one of the most noteworthy meteor showers in the planetary calendar thanks in no small part to its timing. The Perseids take place during the heart of the summer, with occasional meteors during the entire month of August. 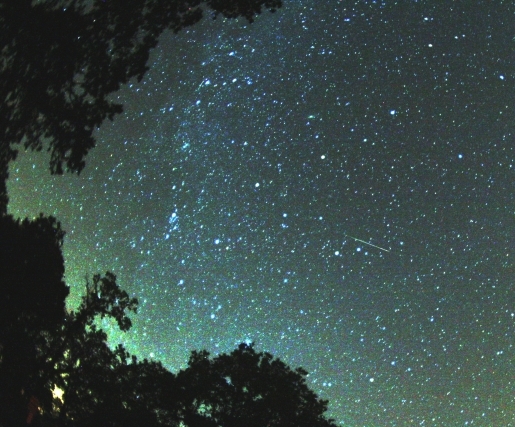 This year’s golden period for the Perseids will take place from tonight, August 11, until Friday, August 13. So how do you watch for Perseids? Well, simple. You look up at the sky and wait. The heaviest periods each night will be shortly after midnight and will last until about 2 in the morning, with nearly a hundred meteors noted per hour at its peak. Feel free to just set up a lawnchair, lay back, and enjoy the show. Unless, of course, meteors tend to bombard your house, in which case you might want to go sleep in the basement and avoid the doctor’s office.